On the jukebox, the VOLUME & CANCEL controls are located at the rear and are difficult to get at without moving the jukebox, but with this wireless remote control, you can easily adjust the volume level, cancel a play or even mute the jukebox from a distance of over 60 feet. 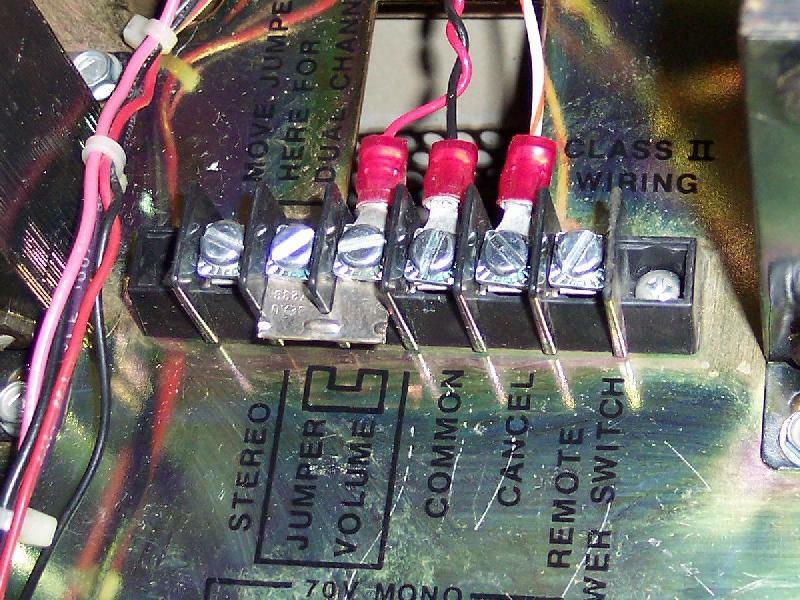 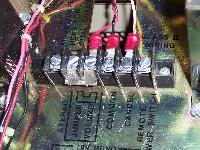 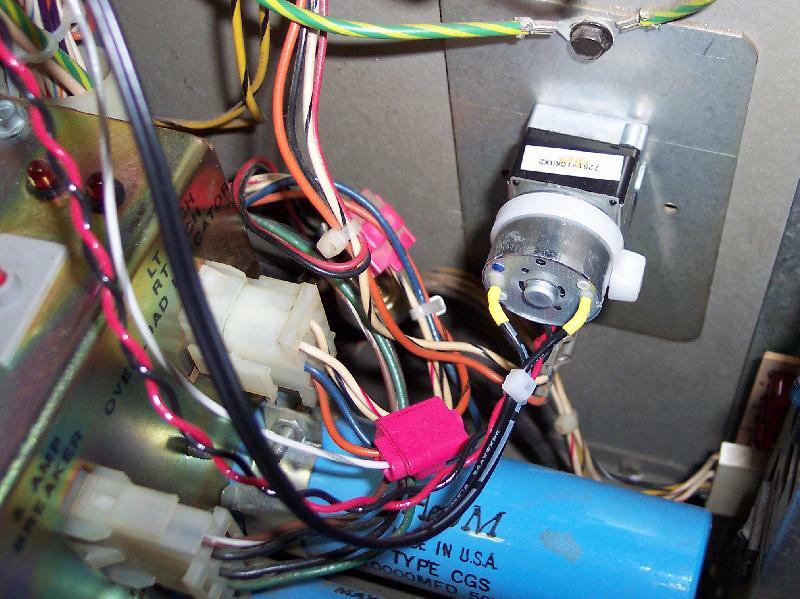 This unit will work with any Rowe/AMI vinyl or CD jukebox that has the terminal strip for remote volume and cancel connections. 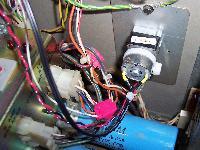 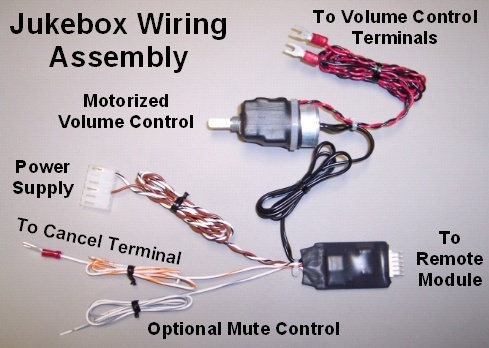 The wiring assembly features a motor driven volume control to allow either manual or remote volume level adjustment. 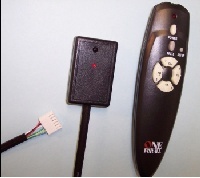 The remote control sensor module, measuring only 2.13" x 1.38" x .58", has an 8ft connector cable and is small enough to be placed just about anywhere.